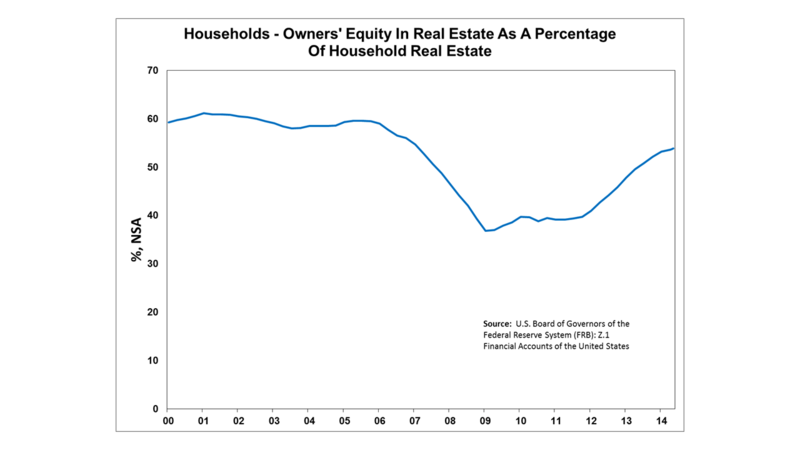 According to NAHB tabulations of the third quarter Federal Reserve Flow of Funds, the real estate equity position of U.S. households (the difference between assets and liabilities) increased nearly 1.6% for the quarter. The market value of real estate held by U.S. households increased $180 billion dollars during the quarter, while liabilities (home mortgages) remained virtually unchanged. The value household-owned real estate, including owner-occupied and second homes, totaled $20.4 trillion for the quarter. Total home mortgage debt outstanding stands at $9.4 trillion. Recent developments in terms of housing values and mortgage debt outstanding have been largely driven by tight lending conditions and steadily increasing home prices. 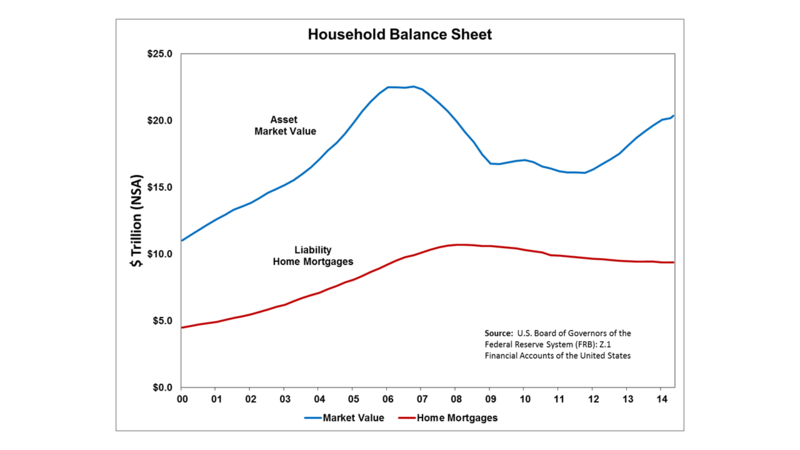 Rising home prices, in particular, have boosted household balance sheets in recent years. To account for inflation in the quarterly series and measure changes in real values, it is also useful to examine owner’s equity in real estate as a percentage of the value of household real estate. The higher the ratio, the more favorable is the financial position of U.S. households with real estate. The current reading of 53.9% is a slight improvement over the prior quarter. The ratio has steadily improved from the 36.7% reading in the first quarter of 2009 during the depths of the Great Recession. This type of improvement in the balance sheet of U.S. households with real estate generally corresponds with the ongoing recovery in housing. It is likely that tight lending conditions have led to pent-up housing demand, which could release with further improvement to the economy.